So you've heard that Sleeper is pretty awesome and want to switch to Sleeper midseason. You've had enough. If you want a reminder of the advantages of sleeper, go here: What features does Sleeper have that other platforms don't have? Switching or cloning your fantasy league will take a couple hours of manual work, but it's worth it. This will only work on our website, so make sure you're on your laptop or computer. Finally, pop a beer and settle in. Lets get going! First, create a league and update the league settings, scoring settings, and roster settings by tapping on the settings icon in the upper right corner on the middle panel. Then tap "Preview your draft lobby". 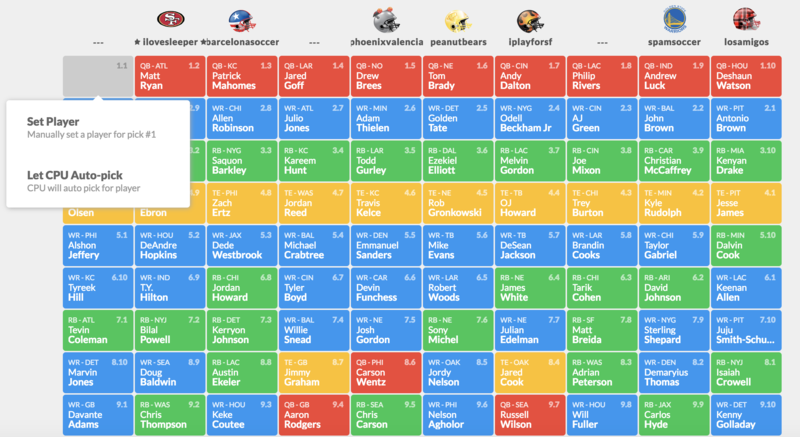 Here, you'll set the players for each team, by filling in the column. At the end it'll look something like this. Then, you'll want update everyone's record. 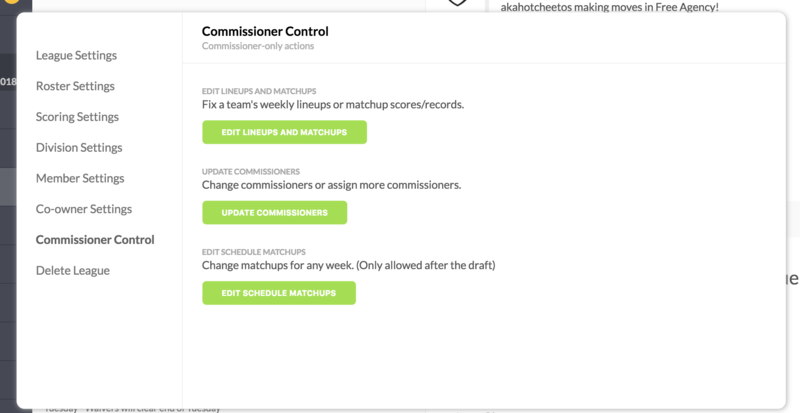 Tap edit league, then tap commissioner control, and finally tap edit lineups and matchups. For each week, go to every team and and edit the total points to reflect everyone's scores for all the previous weeks. You do no not need to edit people's lineup here. Only edit the total points for previous weeks. 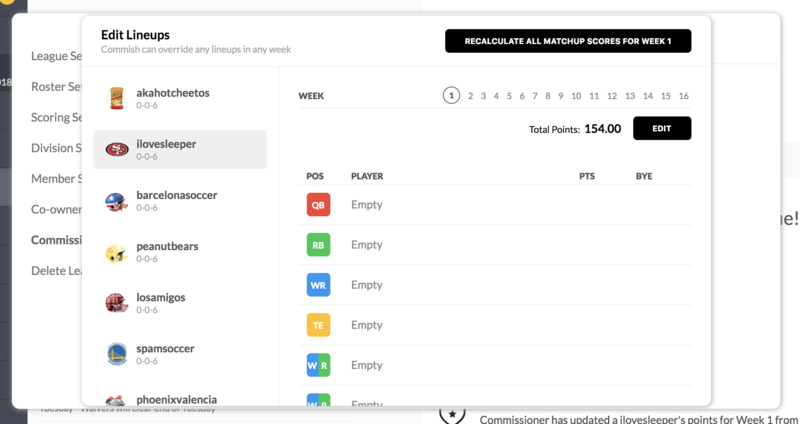 Make sure to tap, "recalculate all matchup scores" for every single week. If you're having difficulty tapping "recalculate all matchup scores" for the current week, please til waivers clear and you'll be able to edit matchups for that week again. 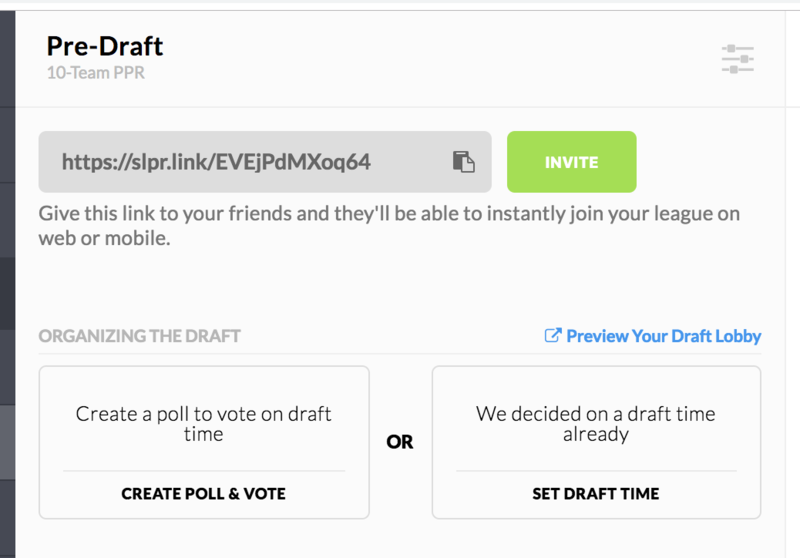 Finally, you'll want to invite all your league mates to the league. 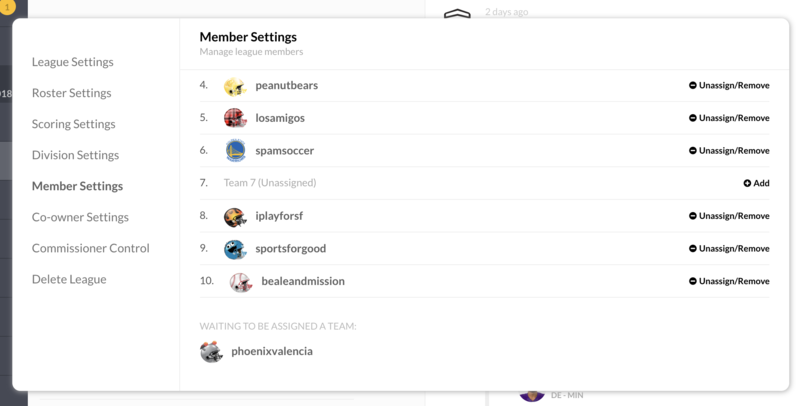 After they've accepted your league invite, you can assign them to each team under member settings. Thank you for trying us out! Hope you enjoy it.